Okaaspain, tienda online de merceditas en forma de T de charol con lazo y hebilla. 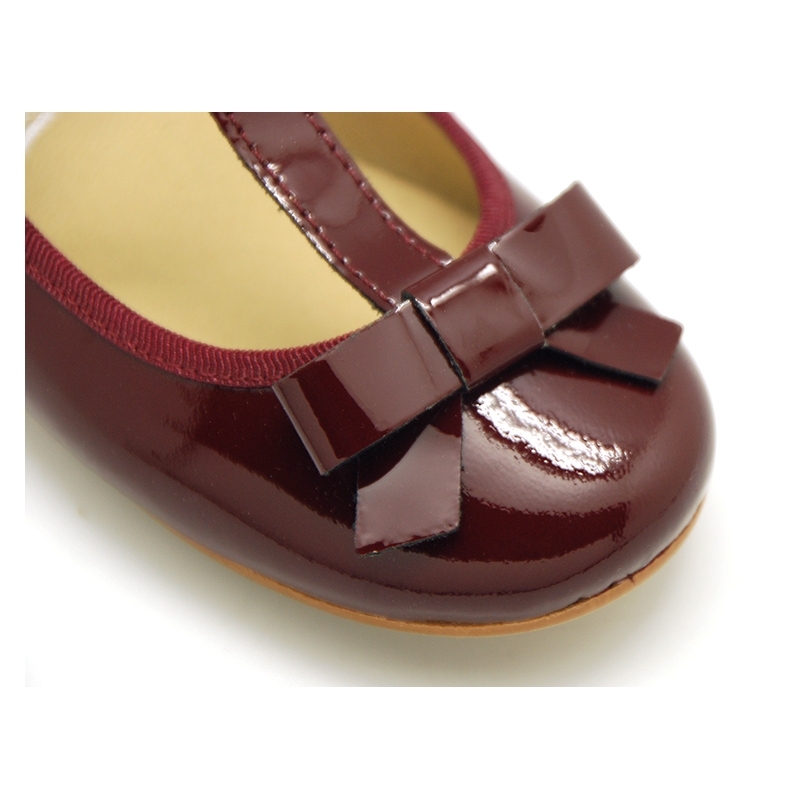 > First Steps>Mary Jane>T-Strap Little Mary Jane shoes in patent leather. T-Strap Little Mary Jane shoes in patent leather. 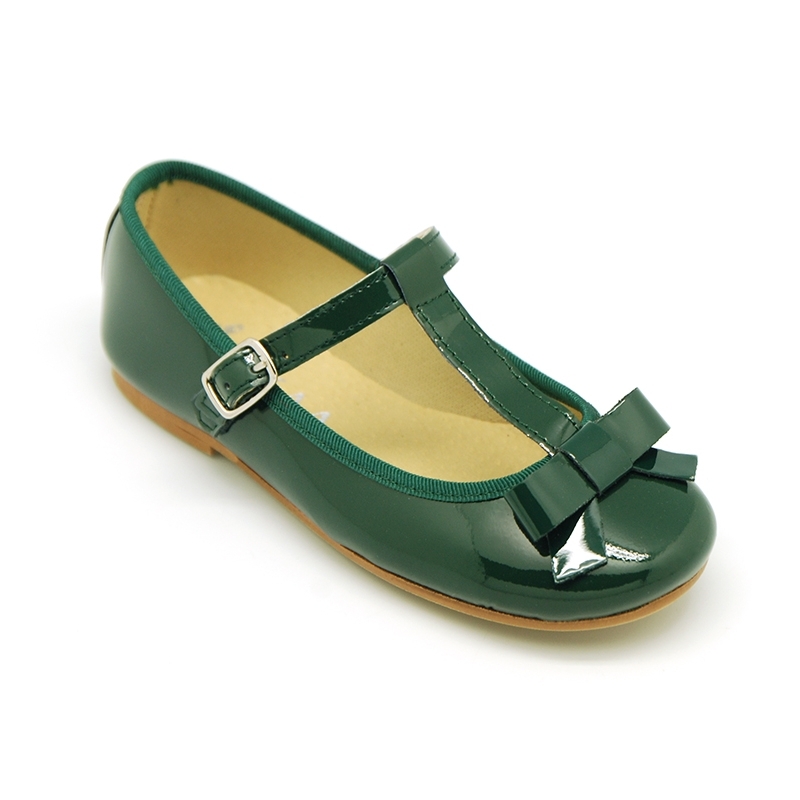 T-strap Little Mary Jane shoes with buckle fastening in patent leather for girls. CHRISTMAS COLLECTION. More info about T-Strap Little Mary Jane shoes in patent leather. 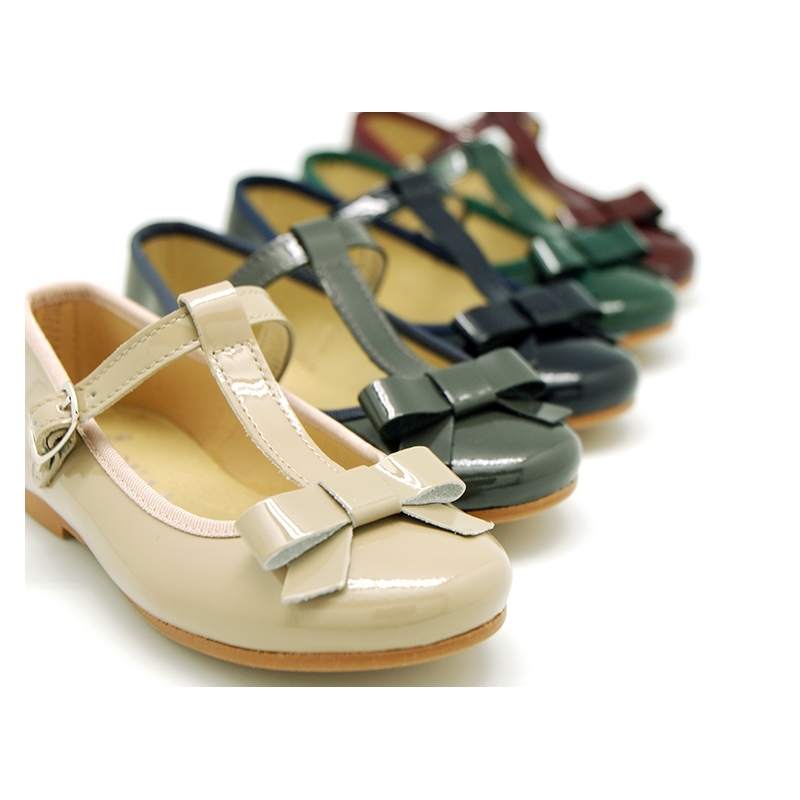 Updated T- strap little Mary Jane shoes with buckle fastening in patent leather design for girls. With the comfort of the buckle fastenig for a better grip. ItÂ´s a new model that update the classic one. Patent leather design shoes itÂ´s very trendy for girls this Christmas season. 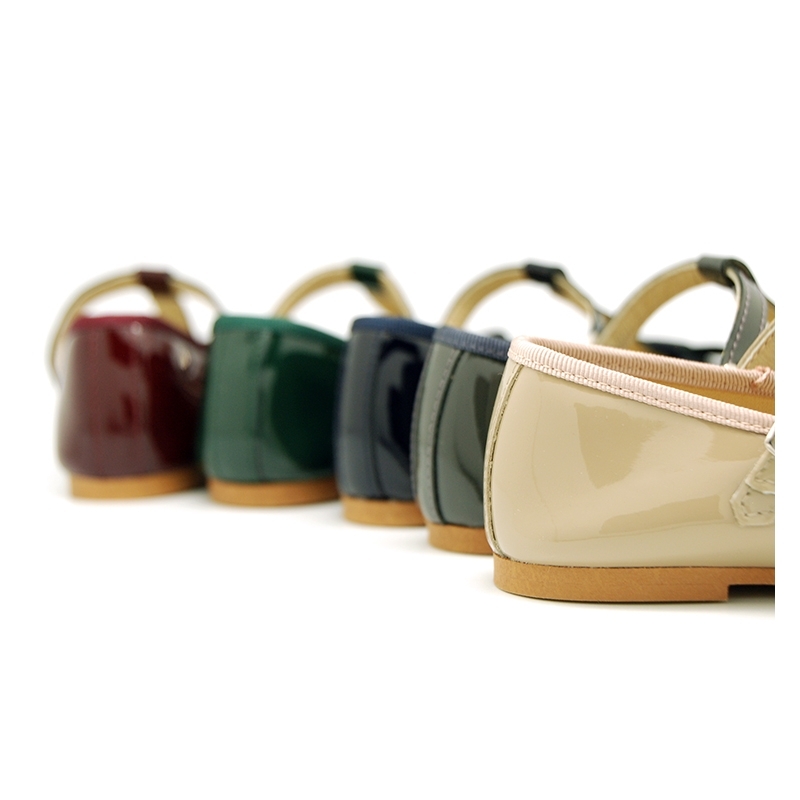 Made up of 100% high quality natural nappa leather with patent finished. Very soft. Perfect to dress with all their garments. T-Strap Mary Jane shoes are the latest in all kids shoes collection. Perfect to mix and macht with all the garments this autumn-winter. Made up in best seasonal colors. Available in 5 colors. Range of sizes: from 23 up to 34. SIZING REGULAR. Data sheet about T-Strap Little Mary Jane shoes in patent leather.